Four Years Of Swachh Bharat Abhiyan: Is The National Capital Delhi ODF Only On Paper? New Delhi: Delhi, the national capital of India and the second most populous city in the country is home to 1.9 crore people which is more than the population of Australia. Given its strategic importance, size and growing population, Delhi often finds itself stretched to cope when it comes to basic amenities and infrastructure. Sanitation being one of them. Delhi’s track record in the four years of Swachh Bharat Abhiyan (SBA) is at best chequered. Delhi is governed by four municipal corporations – North Delhi Municipal Corporation (NDMC), South Delhi Municipal Corporation (SDMC), East Delhi Municipal Corporation (EDMC) and New Delhi Municipal Council (NDMC). Except for New Delhi Municipal Council, which has consistently been performing well in Swachh Survekshan, a cleanliness survey of India’s cities, for last three years with ranks of 4, 7, 4, in 2016, 2017 and 2018 respectively, the other three municipal corporations have never made it to Top 20. 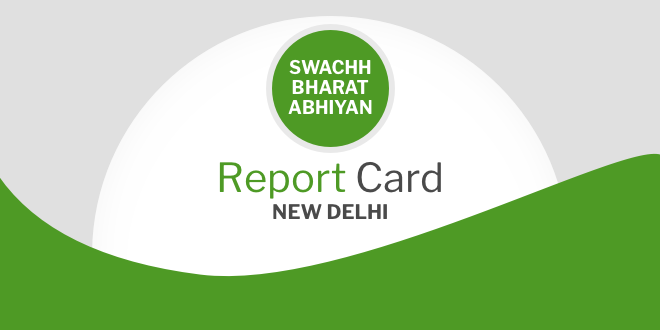 This year while New Delhi (NDMC) was ranked fourth cleanest in India, North Delhi stood at 206, East Delhi at 341 and South Delhi at 32. Though this is an improvement from the last year for all corporations except EDMC, which slipped badly from its 196th position of 2017. Earlier toilets were maintained by NDMC, but the standard and the kind of services were low. To overcome this issue, we adopted Public Private Partnership (PPP) model under which it was decided that NDMC will provide land and specifications for construction of toilets and private companies will help construct it. So that these companies can earn revenue, a particular space will be provided for advertisement. Also, the company will have to maintain toilets for 10 years. Under this model, till today, a total of 304 public toilet units (PTUs) and 38 community toilet units have been constructed and all are geo-tagged. All the smart toilets are being constructed in place of PTUs that have grown old and cannot be repaired. 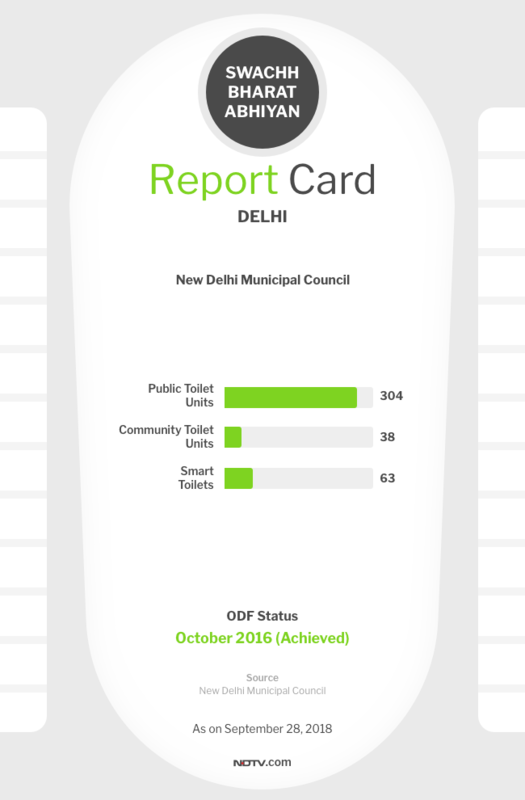 Currently, NDMC is trying to deal with all the challenges and achieve its target of 109 smart toilets by October 2019. Along with this, for women, two pink toilets have been constructed at Sansad marg and in Connaught Palace and two are underway. It is a behavioural issue and it takes time to change someone’s behavior, mindset and habit. For that, we undertook IEC (Information, Communication and Education) activities, interacted directed with locals. But there are still some people who prefer to defecate in open. Kids will defecate right outside a toilet. For instance, people residing in Sanjay Camp slums still prefer to defecate on a railway line. We are working on that and hope to see a change, soon. North Delhi Municipal Corporation (NDMC) ringed in 2018 by declaring all its 104 wards free from the practice of open defecation. On January 1, 2018, Preety Agarwal, North Corporation Mayor confirmed the news saying that today North Delhi Municipality areas have access to either an individual toilet or a community toilet within 500 metres from every settlement. Also, all commercial areas in the wards have access to public toilets within a distance of 1km. In NDMC, today, there are 314 community toilet complexes (CTCs), with 3,508 seats for men and 3,232 seats for women. A total of 2,063 seats of men and 3,256 seats for women are available in public toilets, including the ones at petrol pumps, restaurants, metro stations and DDA (Delhi Development Authority) markets, informs the Mayor. 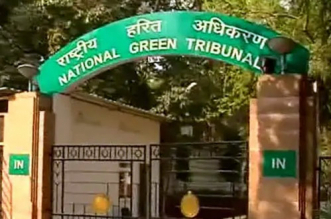 But despite self-declaration nine months ago, the NDMC has so far not, succeeded in clearing third party verification that is crucial for the official ODF certification. According to the information shared by A.K. Gupta, Senior Engineer –DEMS, for North Delhi Municipality ODF verification, QCI did the first survey on March 7 and 8, 2018. Of 17 locations surveyed, open defecation was observed on DDA land near Japani Park, Rohini. Second survey was conducted on June 25 and 26. Again a total of 17 locations were surveyed and open defecation was noted on DDA Land opposite Jaipur Golden Hospital. Today, after making necessary arrangements at all open defecation vulnerable points, the municipality has sent a request for re-verification by QCI. 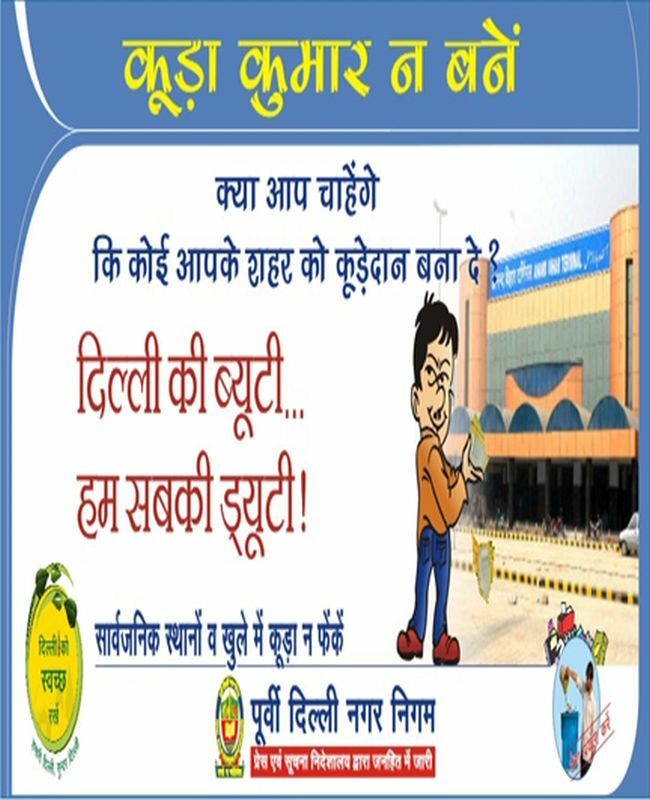 To sustain ODF tag, North Delhi Civic Authorities have undertaken Roko Toko and Seeti Bajao campaign to check open defecation by beating metal boxes, shouting, blowing whistles at anyone who is spotted defecating in the open, in an attempt to embarrass the violator. The mascots used to visit the frequent open defecation spots early in the morning to ensure no one defecates in open and if they catch someone, they would counsel them on the ill-effects of open defecation and why toilets should be used. EDMC, which is home to Shahdara South and Shahdara North, was declared ODF last year on Rashtriya Swachhta Diwas that is on October 2, 2017. According to the information provided by an official from EDMC, the third party verification which was done on January 3, 2018 found Seelampur slum area and Nirman Vihar residential area as non ODF. The corporation applied for reassessment in February and results declared six places as non ODF. So like North Delhi Municipal Corporation, even East Delhi is struggling to clear third party verification, crucial to ODF certification, even after one year of self-declaration. Even as it awaits ODF verification, EDMC has been carrying out awareness activities which include radio jingles, pamphlet distribution, hoardings, campaign through NGOs and formation of 52 teams on sensitisation of ODF. The supervision and enforcement was done at different levels. The corporation also made hoarding around the theme ‘Delhi ki beauty, hum sab ki duty’ (Delhi’s beauty is our duty). The campaign also used characters like ‘susu kumar’, (a character who urinates in open) ‘thoo thoo kumar’(a character who spits in publically) and others to highlight the prevalent bad practices that are roadblocks to the clean India movement. Under SBM (Swachh Bharat Mission), while five CTCs (Community Toilet Complexes) with 80 seats were constructed, alongwith 195 public urinals consisting of 814. Along with this, 10 Namma model public toilets that are modular toilets – with facilities like sanitary disposal unit, urinal module, stand alone modules for handwash, solar based lighting module and others, have been constructed at 10 different locations. 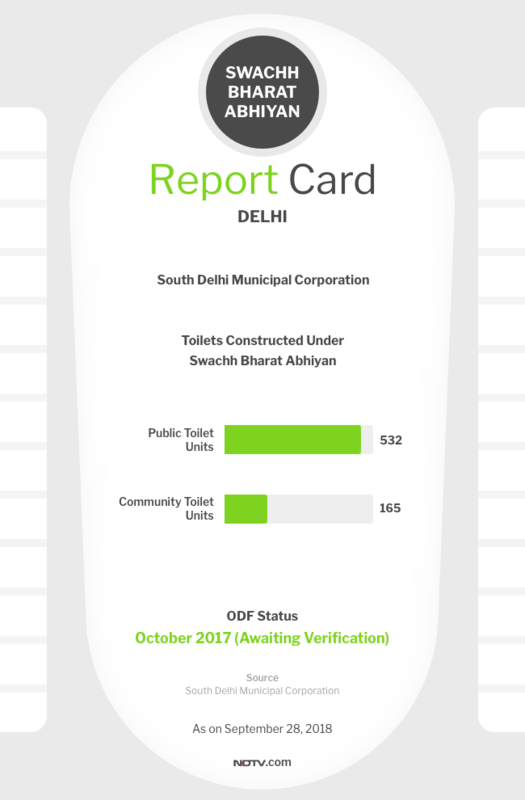 According to the information shared by Radha Krishan, Director, Press and Information, SDMC, with construction of public toilets within a distance of 500 metre in all 104 wards, SDMC was self-declared ODF on the third anniversary of Swachh Bharat Abhiyan on October 2, 2017. Today, SDMC has 532 public toilet units and 165 community toilet units. The first QCI verification was done in December 2017. The surprise visit was done at 21 locations and cases of open defecation were found at three places namely Peeli Kothi, Ekta camp in RK Puram and Govindpuri in Sangam Vihar. During second QCI verification, Peeli Kothi was marked as open defecation area. To phase out the practice of open defecation, SDMC organised awareness campaigns in slums and talked about health benefits of safe sanitation and hygiene. The corporation distributed fliers, pasted posters on walls, planted hoardings and banners across the city, asking people to use toilets. As part of IEC activities, we organised nukkad nataks (street plays) which were well accepted by the citizens as street plays are interactive. As we would show the side effects of defecating in open, people would watch, laugh, and think and that ‘think’ is what helped us a lot, says Mr. Radha Krishan. Delhi Urban Shelter Improvement Board (DUSIB) is the agency under the Delhi government responsible for looking after basic amenities in slums and Jhuggi Jhopri squatter settlements/clusters. For years, people residing in slum areas have been defecating, cleaning and washing in open. In 2014, when Swachh Bharat Abhiyan was launched, the challenge for DUSIB was to change this habit of people, provide community toilets and ensure their utilisation. But the first and foremost step was to understand the requirement of community toilets. DUSIB has divided Delhi into 12 major circles. To understand the need of community toilets, engineers of different circles came together and did a survey. According to the results, 26,000 toilet seats were required in different parts of Delhi. In course of four years, while we have built 22,000 community toilets, around 3,000 have been built by Municipal Corporation of Delhi (MCD). Today 1,000 to 1,500 toilets are remaining. But in past four years, we have faced numerous challenges at both government and individual level, says Bipin Rai, Member Expert, DUSIB, while speaking to NDTV. Challenge of ‘No Objection Certificate’ (NOC) for toilet construction from different land owning agencies was one of the major challenges. In Delhi, majority of land belongs to Delhi Development Authority (DDA), and the remaining either belongs to CPWD (Central Public Works Department), Railways, Irrigation Department or other agencies. To construct a toilet anywhere, DUSIB first needs a green signal in the form of an NOC from the land owner. Because of this, initially the progress was slow and hardly any land owner would agree to give NOC, but when the government started monitoring the campaign, Swachh Bharat Abhiyan in slums gained momentum. The third challenge was and is the behavioural change and to overcome that different NGOs have been roped in. With the help of IEC (Information, Education and Communication Activities) like street play, regular awareness programmes and rallies, NGOs are trying to make people aware and understand the importance of safe sanitation and hygiene. There were times when people used to take away taps, pipes, block commode by either putting a bottle in it or women would throw used sanitary napkins in it. Currently, we are thinking of installing sanitary napkin vending machines and incinerators, tells Mr. Bipin Rai. 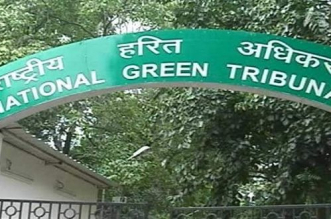 If we talk about progress in terms of waste management, NDMC has completely revamped their process with focus on waste segregation at source and they have actually done a lot of work. But other MCDs have really not looked into the critical issue which kind of addresses the segregation at source or focusing on behavior change or creating systems to support segregation. Till date, about 10,500 tonnes of waste is collected per day. 6,100 TPD still goes to waste to energy plant and this is all mixed waste. 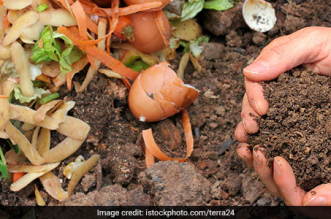 Only 200 TPD gets composted. The council has initiated waste segregation at source and 100 per cent door-to-door waste collection. The collected waste goes directly to the waste to energy plant at Sarojini Nagar. The waste that cannot be put in the waste to energy plant is currently dumped at Bhalswa landfill. For e-waste management, over 30 locations in the city have been demarcated where an individual can drop their e-waste which is then scientifically treated by private companies. Also, 125 tonnes of construction and demolition waste is generated every day which is processed and recycled by private owners at Shastri Park. The recycled waste is then used in construction, especially for levelling footpath and making paver blocks. Comprising of six zones having 104 municipal wards, the North Municipality generates about 4,000 Metric Tonnes per day (MTPD) of Municipal Solid Waste (MSW) or garbage. Out of this 4,000 MTPD, about 2,000 MTPD is processed at Waste-to-Energy (WTE) Plant at Narela-Bawana. The WTE Plant is being run by a private concessionaire, for a concession period of 20 years i.e. upto 2029. The remaining 2,000 MTPD of garbage goes to Bhalswa landfill site. For collection and transportation of waste, EDMC procured different kinds of bins and trucks. The collected waste is treated at Ghazipur waste to energy plant of capacity 1300 tonnes per day (TPD). There is also a Construction and Demolition (C&D) waste processing unit with capacity of 500 TPD at Shastri Park. The major challenge EDMC is facing right now is in terms of waste collection and management is related to waste pickers. Since waste pickers are not managed by EDMC, it is difficult to track them. Also, they have zero motivation or incentives to follow or adapt to technology. On an average, SDMC generates 3,600 MT of waste per day of which while 2,000 MT is sent to waste to energy plant at Okhla, 1,600 MT is disposed at Okhla landfill. We talk about sustainable waste management, but we are still not there. We still have a very bottom up approach to waste management which is highly intensive on incinerator and waste disposal and there is not much focus on segregation at source. Overall if we look at Delhi, of course we had a very very slow pace. Every day we are grappling with one issue or the other. Even after the bylaws that have come on January 15, 2018 which talk about segregation at source, penalties, but none of this is happening on ground. A lay man does not know that bylaws have come. Clearly MCDs have been unable to work on social engineering aspect of it, infrastructure wise also there is lot of focus on centralise system and processor and maximum on waste to energy which is not very environment friendly and sustainable for long run, says Ms. Swati. Despite being the capital of the country, Delhi currently is lagging behind be it in terms of ending open defecation or scientifically disposing of its waste. With just one year remaining for the Swachh Bharat Abhiyan deadline, the national capital remains a red flag currently in the progress of the clean India mission.